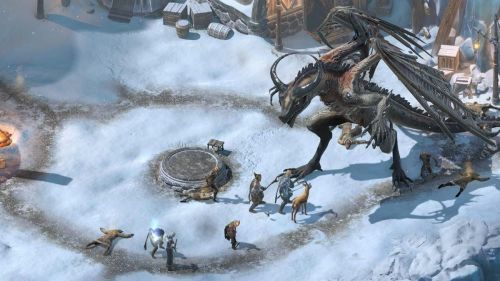 Last week Obsidian officially revealed the Beast of Winter expansion DLC for Pillars of Eternity II in a Twitch broadcast. 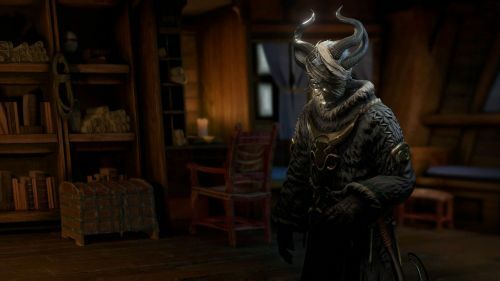 For those who missed that news, they've now published a Fig update about it, with some screenshots and details about Vatnir, the expansion's grotesque Godlike sidekick. If you tuned into the stream or took a look at the VOD, you may have noticed Vatnir, the sickly-looking Endings Godlike. This new sidekick has been a studio favorite since his conception, and we've been anxiously waiting to finally, officially, reveal him to the community. Vatnir is a rare Priest of Rymrgand with the Condemnation domain and a focus in Famine, Entropy, and Winter. Additionally, any spells that depend upon a priest's god and faith reflect Rymrgand's portfolio. Vatnir's Spiritual Weapon summons dual battle axes, Incarnate summons a scourge, and both the Call and Symbol of Rymrgand summons the cold from Rymrgand's realm to freeze his enemies. If Vatnir is just one too many priests to have in your party, he also has the option to multiclass as a Celebrant (Priest+Chanter), or a Zealot (Priest+Rogue). In other news, Obsidian have released a minor new patch for Pillars II that gives players the option to buy the items from the pre-release secret code scavenger hunt if they don't have them (a category that includes all players on non-Steam platforms). You can read the patch notes for that here.